‘The Biggest Little Town in Australia’, Mullumbimby lives up to its name. Regular local craft and farmers’ markets, a thriving community of artists and musicians, it’s own primary and high schools and the annual Mullum Music Festival are just the tip of the iceberg for this creative hub. Fifteen minutes to Byron Bay, 30 to the Gold Coast and just 10 minutes from the quiet beaches of Brunswick Heads, Mullumbimby is at the heart of the region with all the small town charm of old. Sheltered in the foothills and valleys of the Nightcap Mountain Range, Mullumbimby is as eclectic as it is picturesque. The name Mullumbimby is a derivative of the indigenous Bundjalung word ‘mulubinba’, the name given to a native fern that grows in abundance in the region. As you leave the Pacific Highway, on your approach to Mullumbimby, the austere landmark of Mount Chincogan stands as steadfast sentinel over the township at its foot. The plains below offer sports fields, community gardens and a manicured eighteen-hole golf course. The Brunswick River encircles the inland border of the town and hosts the annual 10 kilometre ‘Mullum to Bruns’ Paddle. With its post office, swimming pool, community college and vibrant town centre, it is all too easy to lose yourself in this humble little neighbourhood, but so much lies in wait just a short distance from your doorstep. 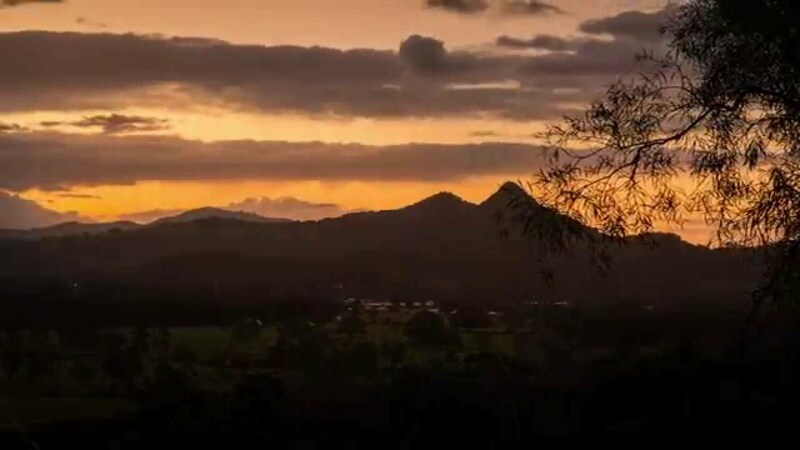 The world-renowned Crystal Castle is located on the gentle climb up towards the spectacular Minyon Falls, Brunswick Heads lies due-east, home of superb fishing, surfing and sailing and the arterial Pacific Highway, connecting the Northern Rivers to Queensland, is only five minutes away. New development is bringing more housing opportunity for young families and first-time buyers. It is sensitively positioned to avoid encroaching on the town’s rustic CBD of traditional, colonial houses and pointed brickwork. The former Casino to Murwillumbah rail route still runs through the town, the station laying dormant yet adding unique character to the town. Mullumbimby is the perfect rural escape from the tourist meccas of Byron Bay and the Gold Coast.